There are numerous advantages to owning an automated door. They are used throughout the business world, in both commercial and industrial workplaces, to allow for easy and convenient access to a building. They can help your business save space and provide an entryway that doesn’t reduce footfall or create congestion at work. Automated doors are a huge convenience to your life in the business world. In this article, we explore five big benefits of automated doors over other manual solutions. 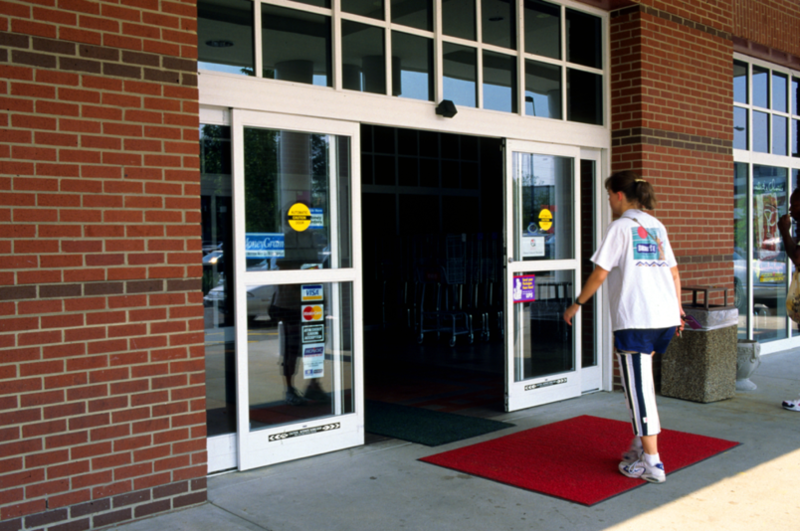 Automatic doors are commonplace – we see them in shopping centres, hospitals, train stations, supermarkets, and more. But how do these doors work? Most automatic doors operate using a range of sensors which can detect things like sound, light, weight, or motion. Depending on the kind of sensor used, the door reacts to what it registers to open or (occasionally) close the door. For example, some doors will use a rubber mat to disguise a weight sensor, which can detect if someone wants to use the entrance or exit. Another popular example is the use of motion sensors, which detect movement around the door in predefined areas and send a signal to the doors to tell them whether to open if the sensor is triggered. Once the sensor is set off, the electronics are programmed to pass a message to an electronic drive train connected to the sensor, which controls the door’s opening and closing. The door is itself connected to rubber belts which control the door’s automatic motion. These parts all work together so that, if the sensor detects something, the door knows to open for the person who approaches. More than any other kind, automated doors are exceptionally convenient to use. 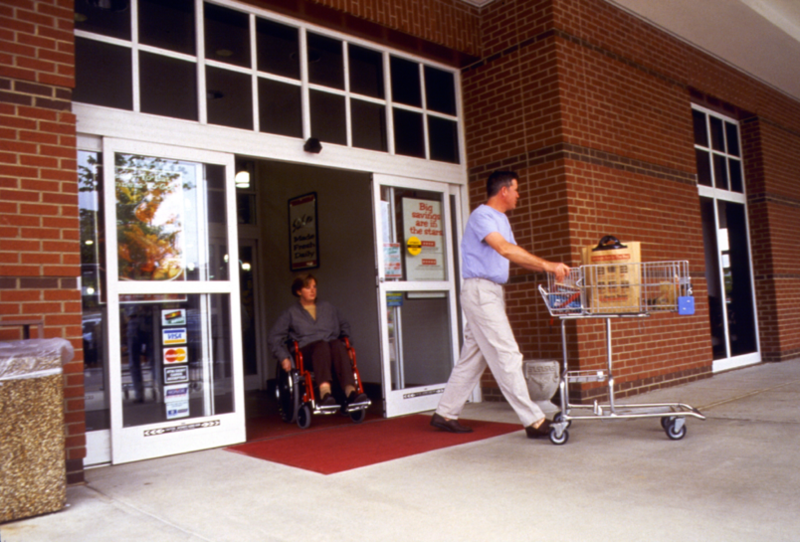 Automated doors, by virtue of opening automatically rather than manually, meaning that if someone with mobility issues or merely carrying a large number of things at once wants to enter that part of your building, they can do so with ease. Automated doors make entering, transversing, and exiting buildings much easier compared to the manual style. One thing we all want from our doors are that they look attractive and inviting to people who will use them, whether that is employees, clients, customers, or just for your own benefit. Making your home, business, or workplace look as beautiful as possible is crucial as it can improve productivity as well as general happiness among those who use it. Typically made of glass, our automated doors add to a sleek and contemporary work environment. There are also a wide range of automated doors available on the market today, which means you can easily find one that matches your look and suits your needs. It has been well shown in studies over the last twenty years that employees work harder when they are in an environment where they feel valued, and shoppers spend more money in an environment that has happy staff and easy navigation. 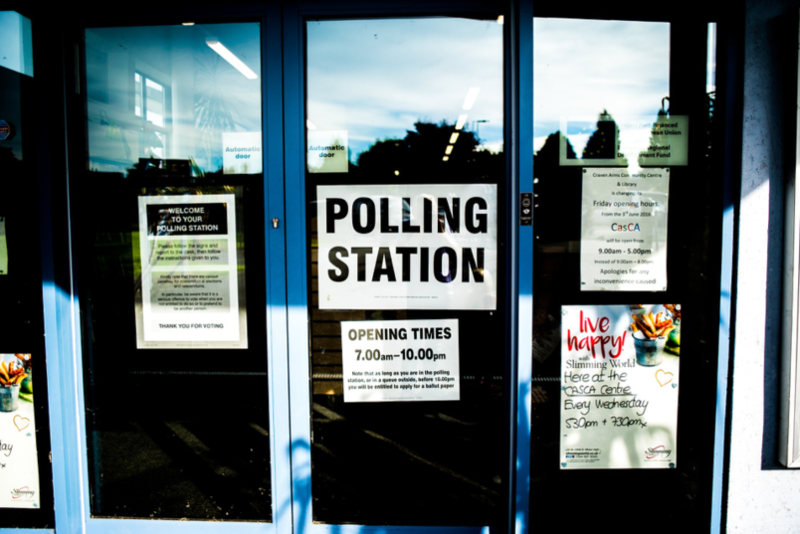 If you want your business to be as inviting as possible, then, why not consider investing in some automated doors to attract customers and make them feel welcome? By opening up when a customer is near, automated doors encourage people to come in and therefore indirectly encourage more spending at your workplace. Automated doors are fantastic for reducing heating bills every month. Because they open only when activated and close the rest of the time, heat does not escape from the doors being left open. Similarly, they also prevent air-conditioning from escaping and dust from entering a building. If you want to keep your building warm or cold even as lots of people come in and out, then an automated door is perfect for you. Finally, automated doors are great for buildings like hospitals or food factories, which have high health and safety standards, particularly high sanitation levels. If hygiene and cleanliness are essential, then an automated door can be fitted with airtight functionality to prevent dust and dirt entering your building and dirtying your work environment. 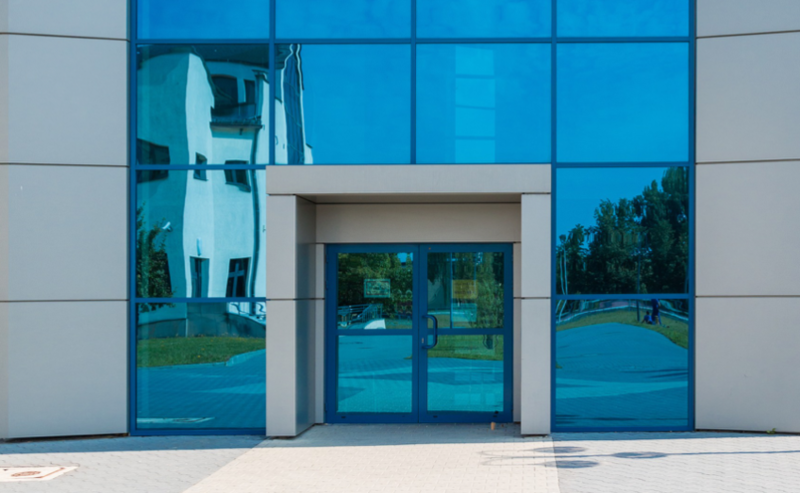 Airtight automated doors have been popular since even the 1950s, and are still commonly used to the benefit of businesses across the world. If you are interested in fitting an automated door, we offer installation services for a variety of industrial doors in the South West. 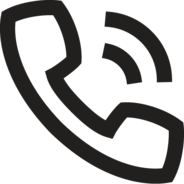 Get in touch with us today, and we will be happy to help you find the perfect door for your place of work.